Good morning Tampa and future Tampa residents and welcome to Tampa Movers Big Boys Moving and Storage. 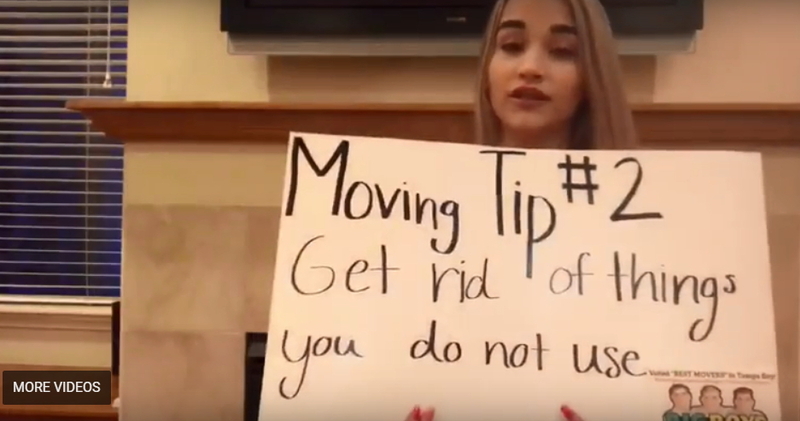 We’re excited to welcome Sarah back for the second edition of our, “Moving Tip of the Day” segment in video. 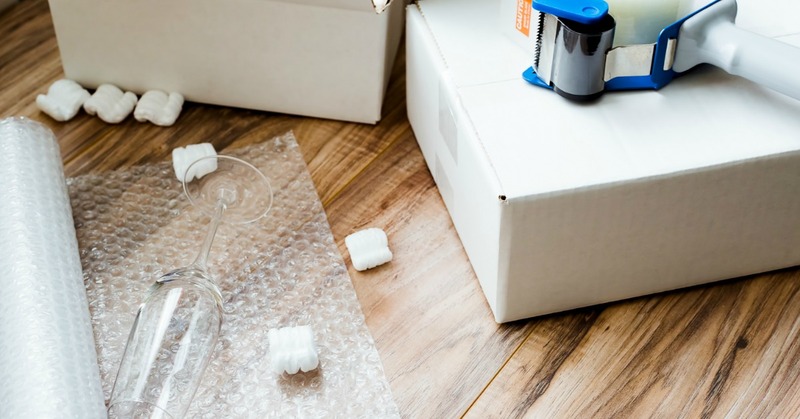 All of our moving tips of the day are about 15 seconds long and they all get right to the point because we know that you’re busy packing those boxes! We really love this moving tip because it’s a great way to clear out clutter! Not only are you cutting down the amount of junk you take to your new home so you can get a fresh start, but you can also find a lot of things to donate to charity as well! At Big Boys Moving, we have been voted as the best moving services for families and corporations relocating in the Tampa Bay area for the past nine years running by Kudzu customers utilizing moving companies within the area. Plus, if you have storage needs we have a large secure storage facility that can meet your storage needs too! If you are currently shopping for a moving company and trying to get organized for your upcoming move, consider connecting with us on Google or Facebook, where we are always sharing important moving tips. Need a Tampa moving company now? Call us today at Big Boys Moving & Storage, we offer the most affordable price on local moves and our commitment to customer service is second to none in the Tampa Bay area. Call 727-773-8111 or 813-936-2699 today.